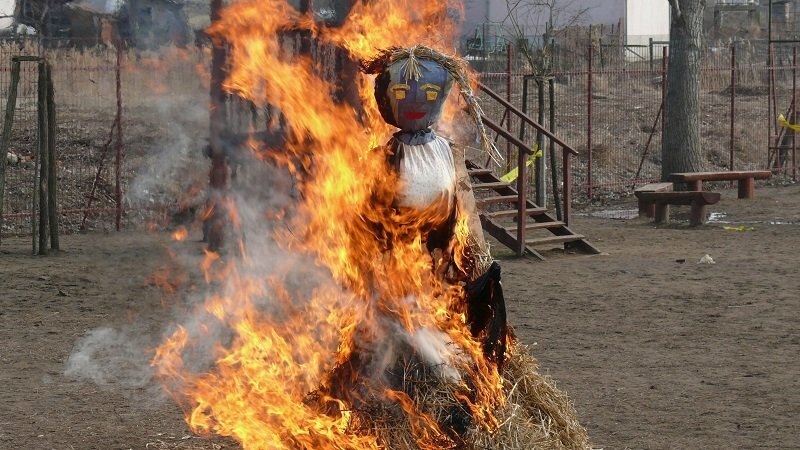 A doll made of straw and dressed in a woman’s clothes. It is a symbol of the winter and fasting. They carry it around the village while singing. Then it is burned or thrown into water. Eggs are the symbols of life and reborning. 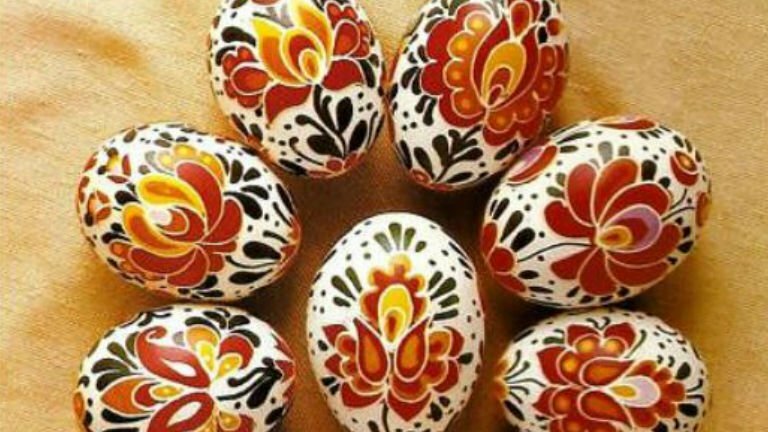 The girls dye their eggs in various, colorful patterns. They usually use patterns tha are typical for their the region. But most of them are red. It sybolises love and life. On Easter Monday they give it to the boys who come to sprinkle them with water or scented water. This custom is very old and according to legend that bring good luck for the girls. They say poems and songs when they do it. There are many creative and funny poems. Originally it was made by pouring a bucket of water onto girls, but nowadays they only use a sup of water or scented water. 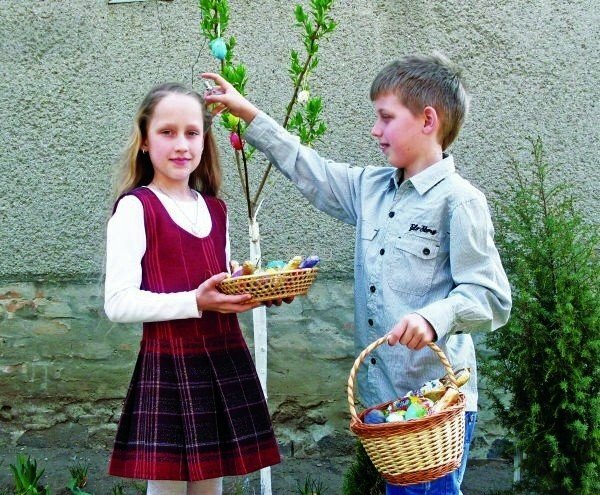 Some girls give money or chocolate eggs in return, instead of eggs. The more sprinkler a girl gets, the more popular she is. The rabbit is considered a symbol of fertility, as it can have up to 20 kids in a year. 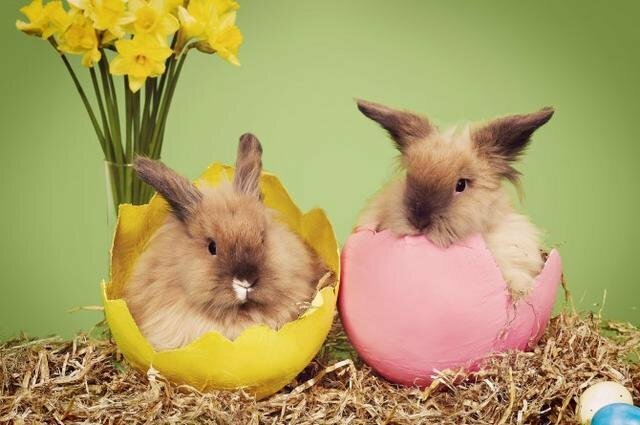 As Easter is a celebration of fertility, it is not a surprise why rabbit is used. Although there is a strange habbit around rabbits, we say the Easter Bunny lays the Easter Eggs. There are more opinions why it has been formed this way. One legend is that „Eostre godess” found a wounded eagle in the forest in winter, to save it from death she transformed it into a rabbit, but the rabbit kept its egg laying ability. The rabbit decorated her eggs and gave it to the godess as a sign of gratitude. Nowadays young people don’t really follow the sprinkling tradition in the big cities, but you can watch this traditional custom at many villages. One of the most famous villages in Hungary is Hollókő. This small beautiful village is part of UNESCO World Heritage. In Easter to follow the tradition the boys pour water onto girls. Both boys and girls are dressed in traditional Hungarian clothes. Easter Festival takes place there, and you can even try the traditional foods.